The Cubbon Park police have detained five persons including a minor in connection with Shantinagar Congress MLA NA Haris’ son Mohammed Nalapad Haris assaulting a 24-year-old youth. 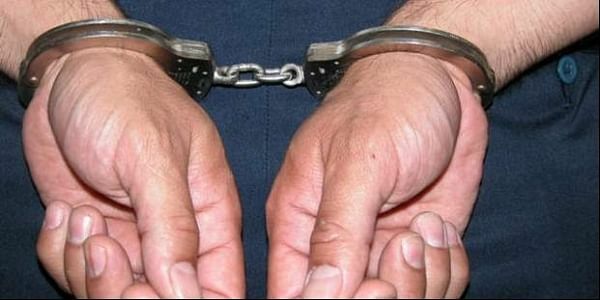 BENGALURU: The Cubbon Park police have detained five persons including a minor in connection with Shantinagar Congress MLA NA Haris’ son Mohammed Nalapad Haris assaulting a 24-year-old youth in a restaurant in UB City. Police sources said that Nalapad Haris’ associates Balakrishna, Manjunath, Abhishek, Arun and a minor boy were picked up for questioning. “As it was found that they were with Nalapad Haris when the incident took place and also allegedly assaulted Vidwat (the youth), they have been picked up. They will be arrested after an inquiry. We are also trying to get information from them about Nalapad Haris, the prime accused in the case who is absconding,” an official said. The arrest comes after a stern warning from home minister Ramalinga Reddy, that action will be initiated against the inspector and other officers of the Cubbon Park station, if the accused in the case are not arrested before evening. The police teams picked all the five from the city itself and are on the lookout for other absconding accused persons including Nalapad Haris. According to a complaint filed by Praveen Venkatachalaiah with the Cubbon Park police, Haris met his friend Vidwat, who had fractured his leg four weeks ago, and took him for dinner to Fergy Cafe in UB City on Sunday night. While they were having dinner, Haris picked up a fight with Vidwat over a trivial issue and allegedly assaulted Vidwat on his face. He was joined by his 15-20 associates, who started punching Vidwat on his face and hit his face with a bottle. When Praveen rushed Vidwat to the nearby Mallya Hospital, Haris and his gang even entered the hospital and assaulted and threatened Vidwat. It is said that they also manhandled and threatened Vidwat's brother Sathwik, who came to the hospital after learning about the incident, asking him not to file a police complaint. It is said that Haris asked Vidwat to pull his leg back for which Vidwat told him he can't do so as his leg was fractured. This angered Haris and allegedly attacked Vidwat. Another version is that Vidwat looking Haris' face triggered the attack. Following the incident, Karnataka Pradesh Congress Committee dismissed Nalapad Haris from the primary membership of the party for six years. Meanwhile, chief minister tweeted, "Offenders should be punished to the full extent of law regardless of who they are. No less, no more. @CPBlr (Bengaluru Police Commissioner) will take action as per law and bring the guilty to book."